Victoria’s Secret models are always praised for their athletic bodies, yet while it seems that they are effortlessly beautiful, their angelic form demands a lot of effort and dedication. In order to maintain the beautiful physique, the models train under Justin Gelband. This New York-based personal trainer’s training methods have earned him a huge celebrity following, writes “Elle” magazine. The magazine came up with 5 tips based on the training methods of Gelbard to help you to train like Victoria’s Secret model. Being simply aware of your weight without an actual context for it may lead down a dangerous path. The body weight can vary greatly based on bathroom visits, last nights menu, time of the day and so on. An important factor to consider is that muscle weighs more than fat. 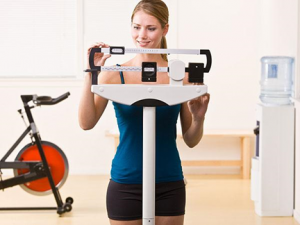 The scales might confuse you into thinking you need to lose weight while you’re on the right path. While spot-training can’t be implied for fat loss in particular area only, it’s a great way to tone and train the muscle of your desired parts. It’s important to have separate days for separate parts of your body. Same muscle groups demand similar exercises, so by creating a split routine, you will benefit your workout sessions. You should consider adding ankle weights into your routine to increase the resistance during certain exercises. With time, the body adjusts to the regularly performed exercises and there comes a need to diversify your routine. In order to not lose the effectiveness of those exercises, a great alternative could be the addition of ankle weights for more challenge. Weight training seems terrifying to some women as they assume they will bulk up right away, yet they fail to consider that building muscle isn’t as easy as it seems. Lifting heavier weights won’t transform your body right away. Doing so will help you build strength as opposed to a heavily muscular body. Challenging yourself to balance your body on a Bosu Ball while doing sumo squats or deadlifts will surprisingly have a huge effect in strengthening your core. Training your balance activates certain muscle groups during the workout sessions and later on helps with important everyday activities.